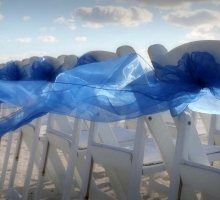 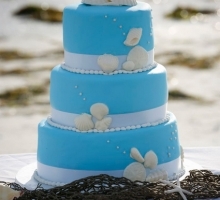 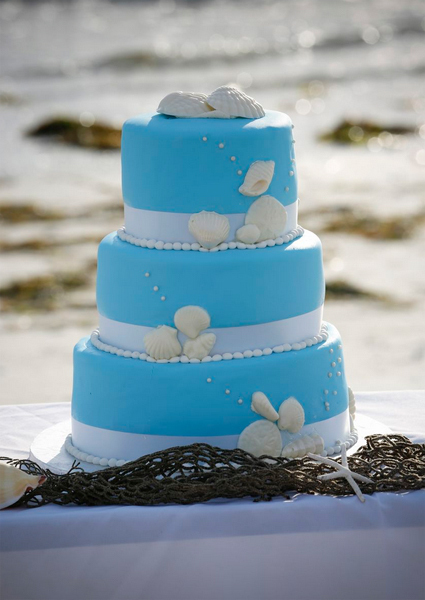 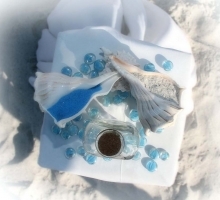 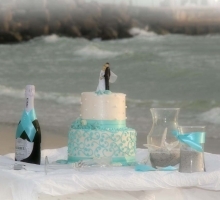 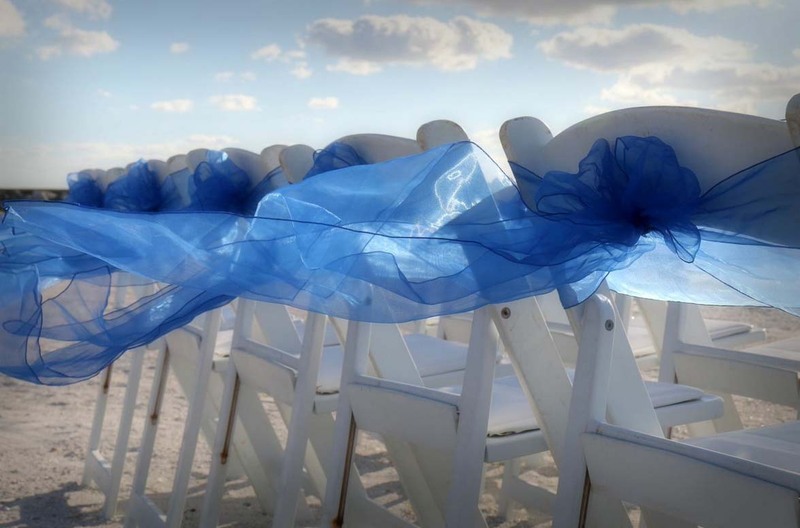 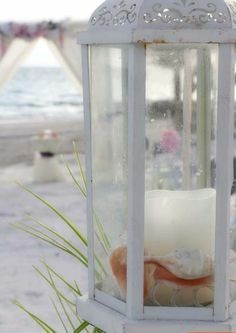 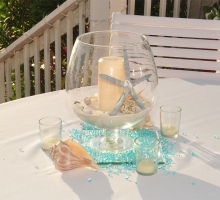 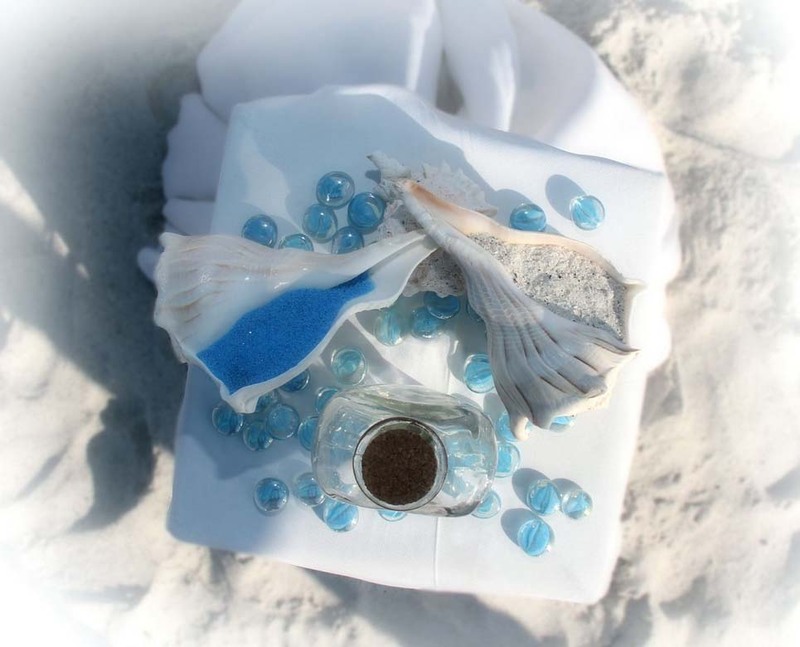 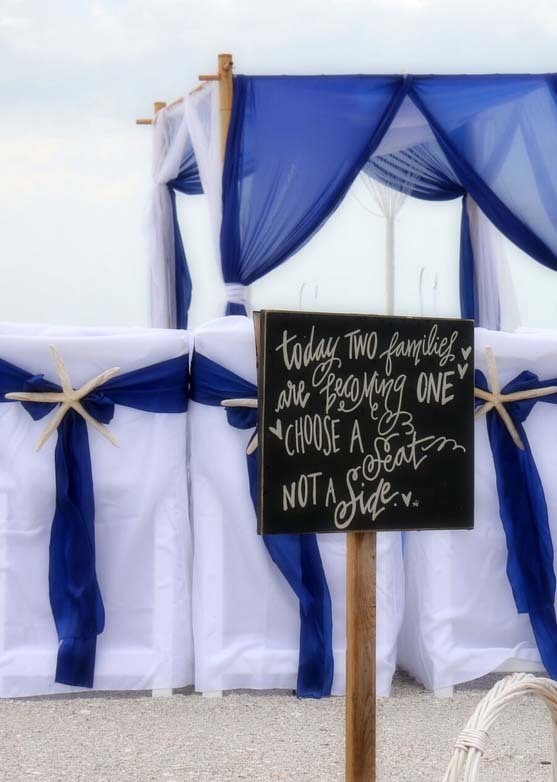 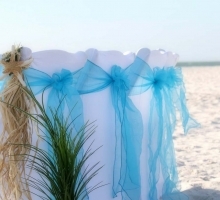 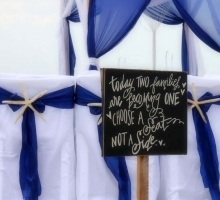 Somewhere between the sea and the sky - the blue sashes and ribbons express happiness and subtle shades of the seashore. 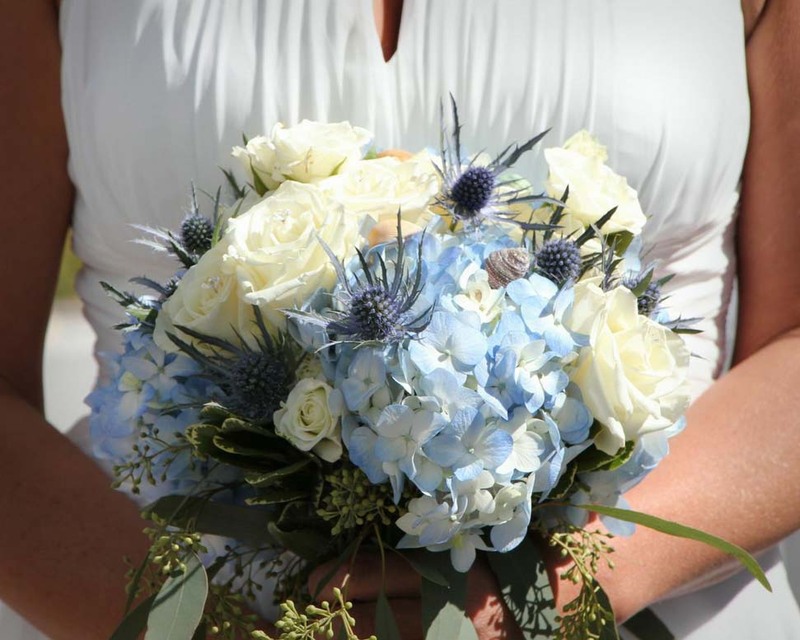 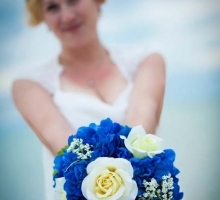 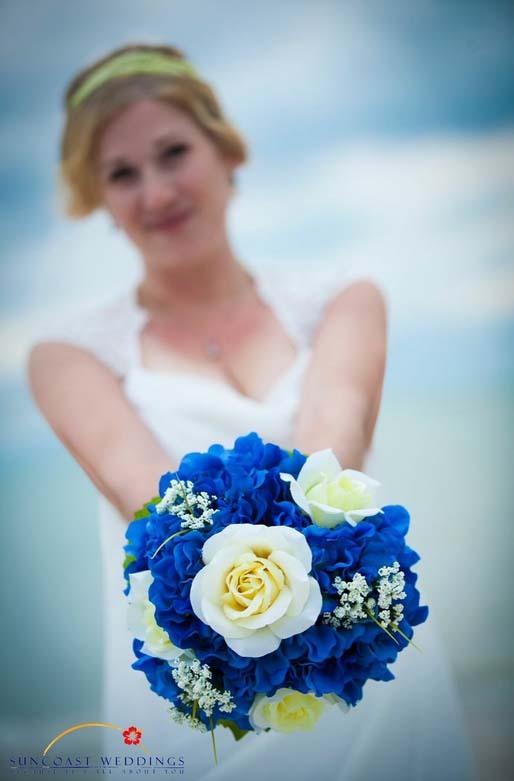 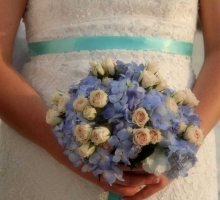 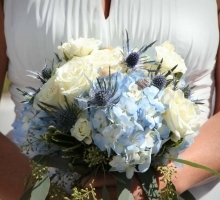 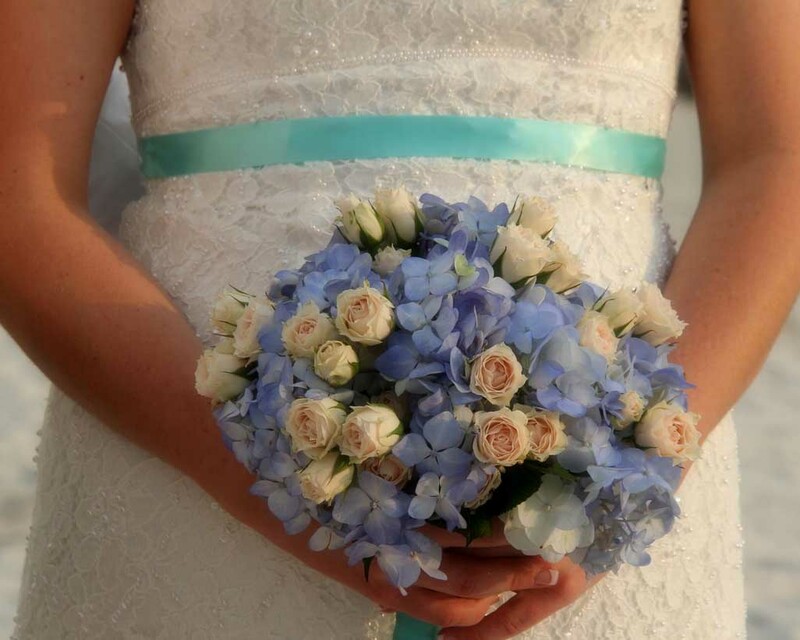 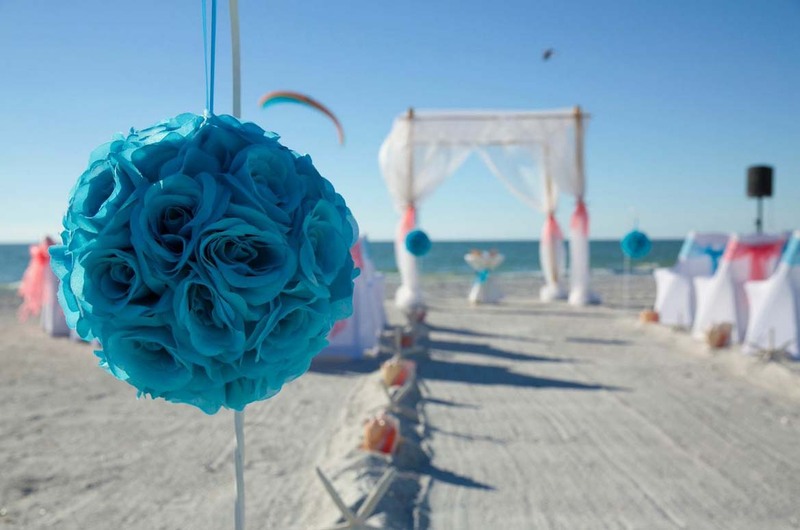 From eye catching electric blue, through shades of turquoise, all the way to the subtle blue hints of aqua, blues can be mixed and matched or stand alone - they give you a multitude of options to theme your wedding with accessories and always look classy and classic. 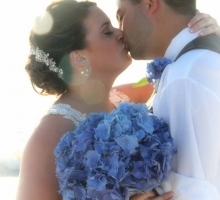 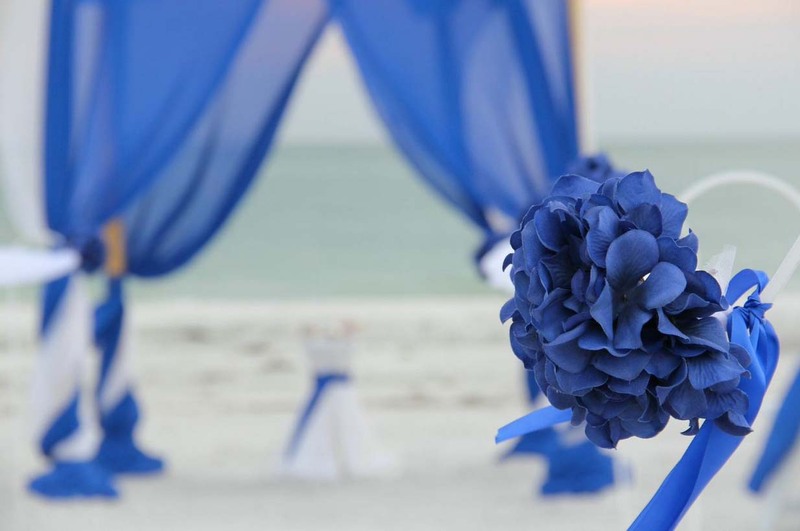 Blue shades are one of the most popular choices for good reason - from sash accents on the post to bold turquoise chiffon drapes, the choice is yours. 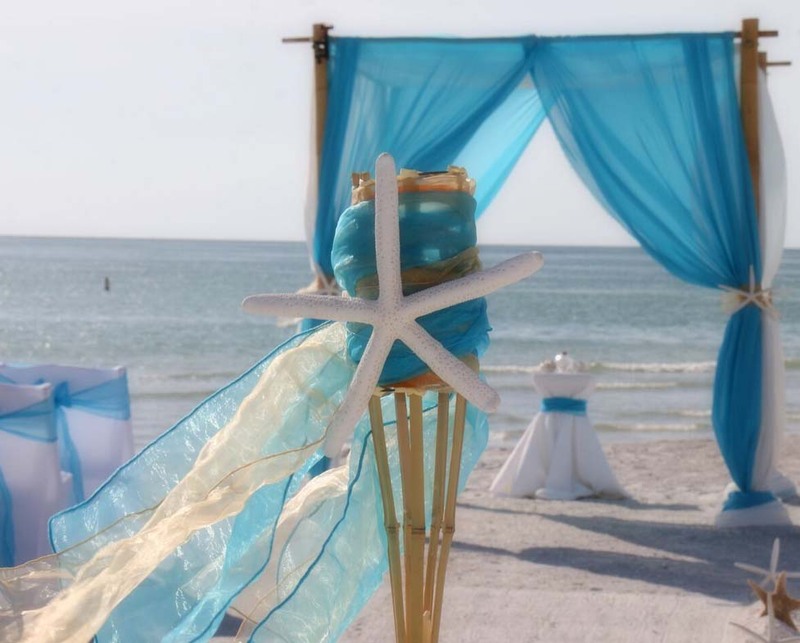 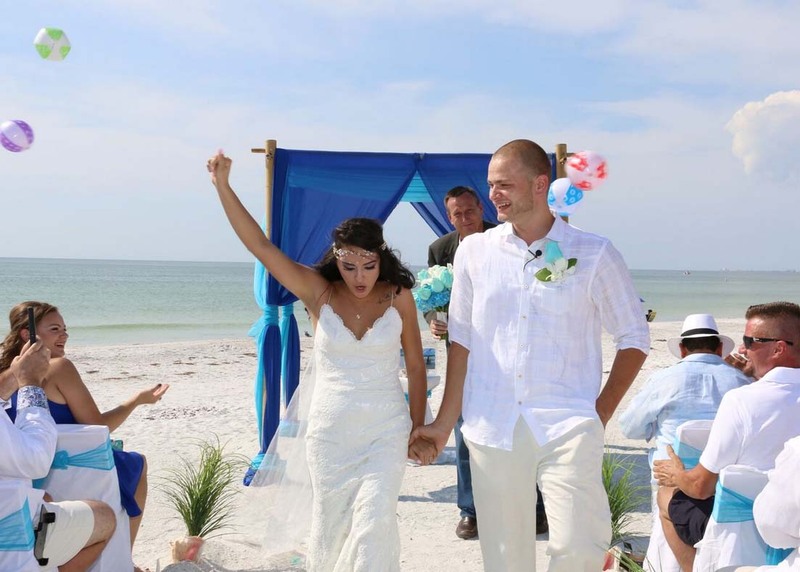 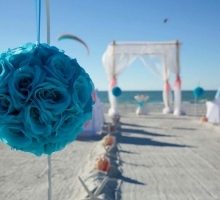 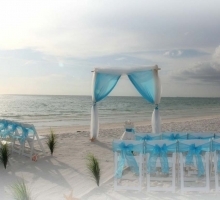 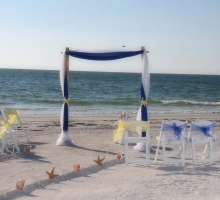 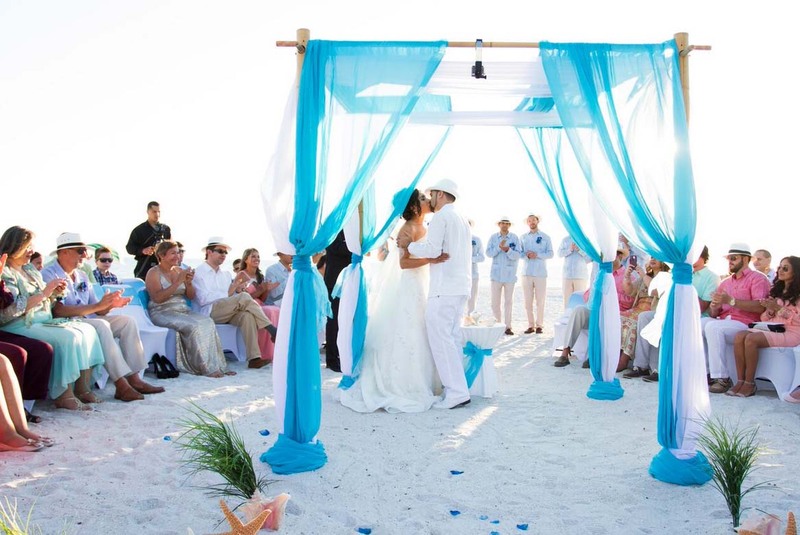 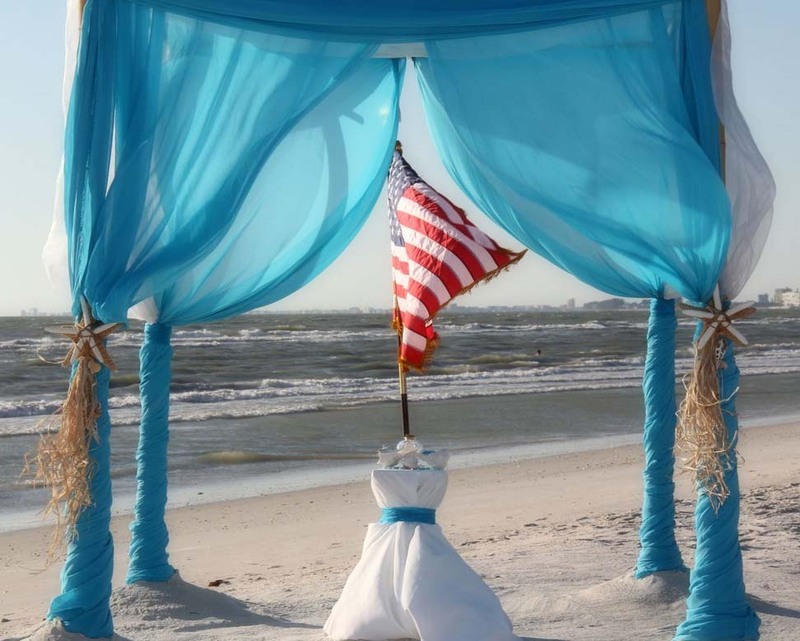 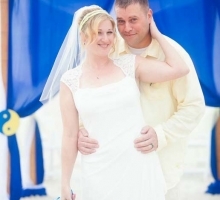 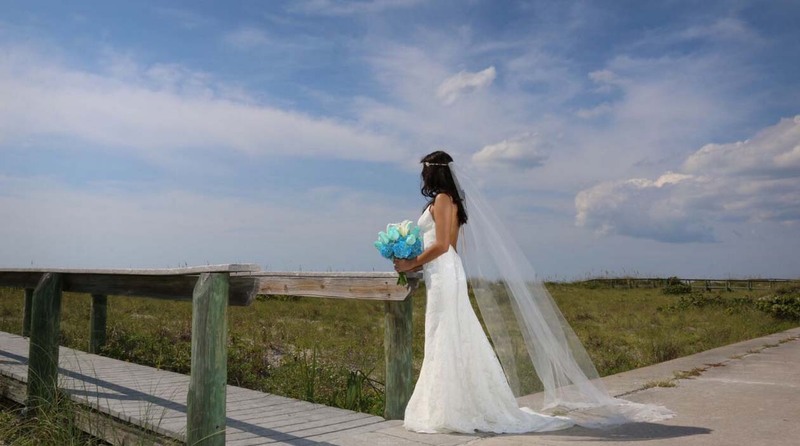 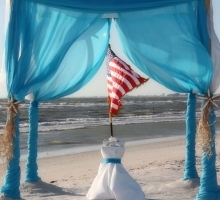 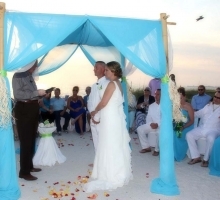 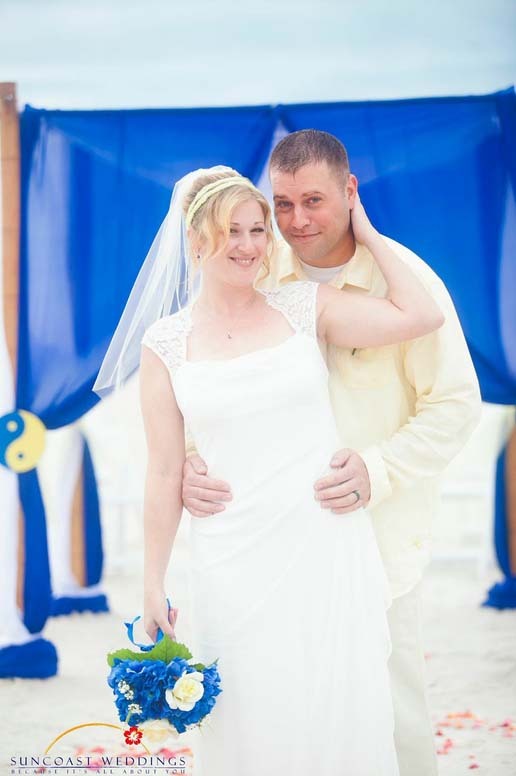 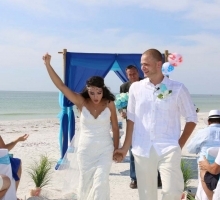 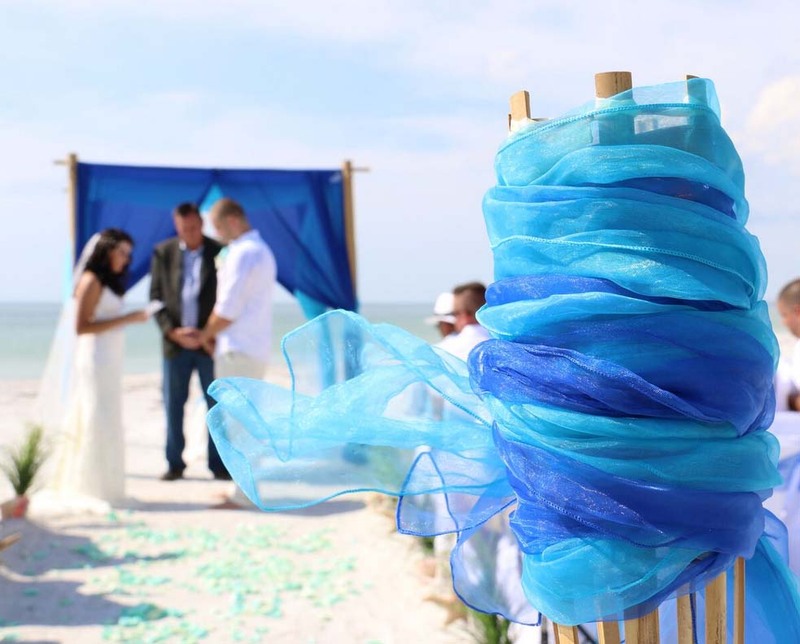 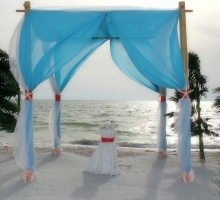 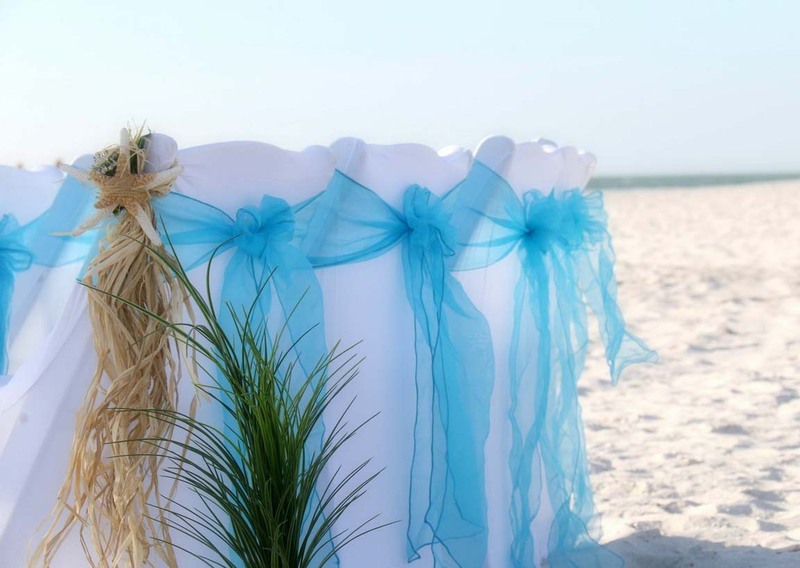 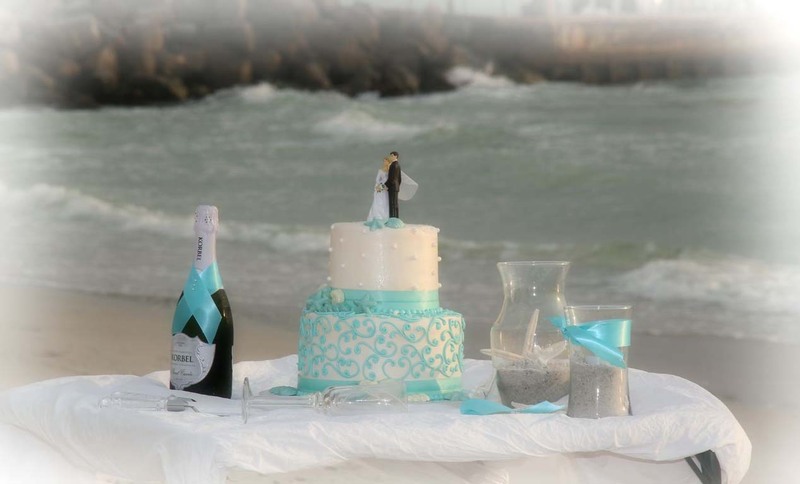 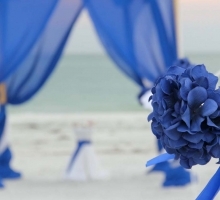 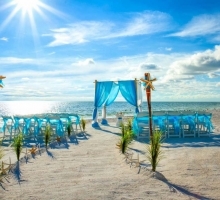 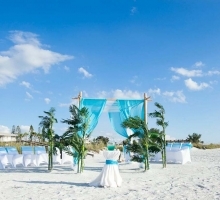 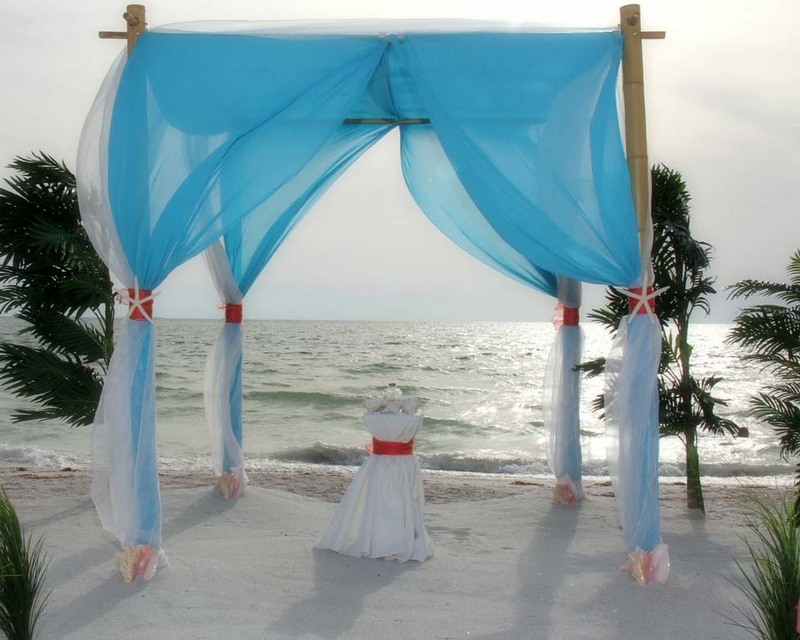 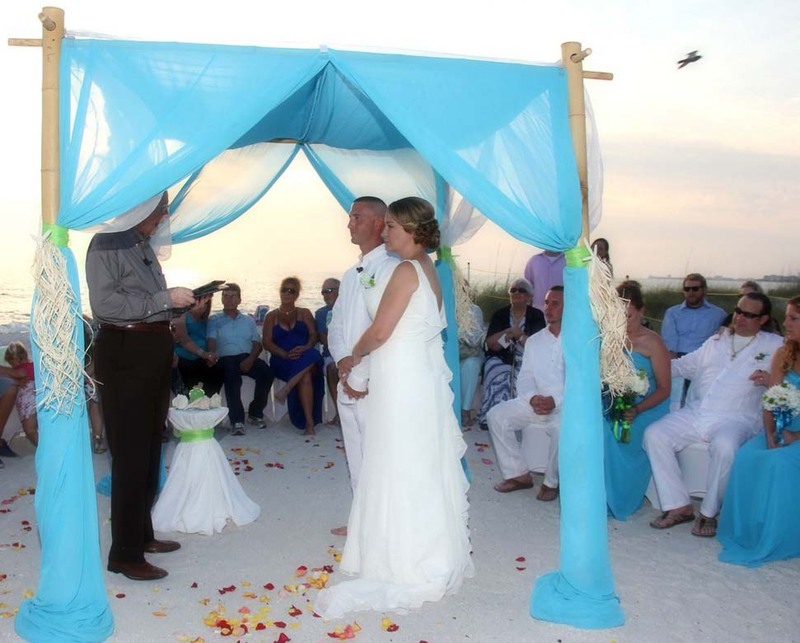 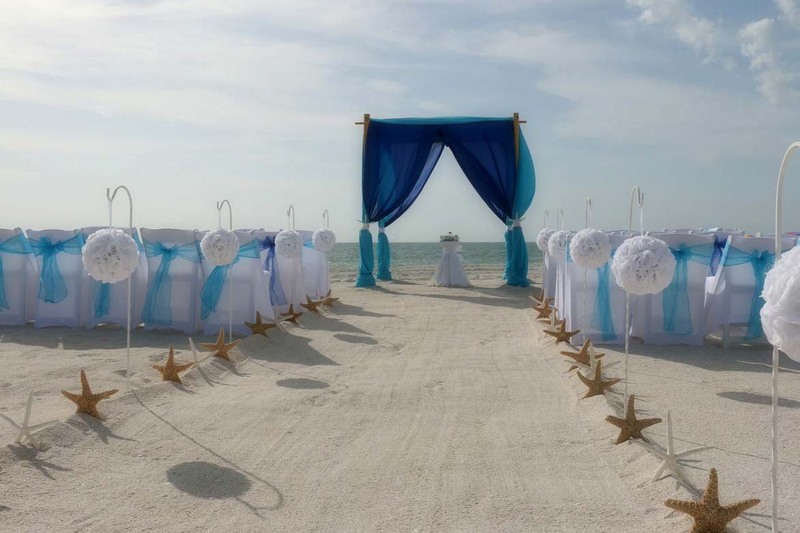 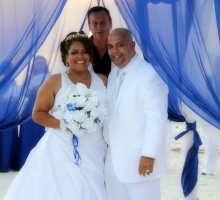 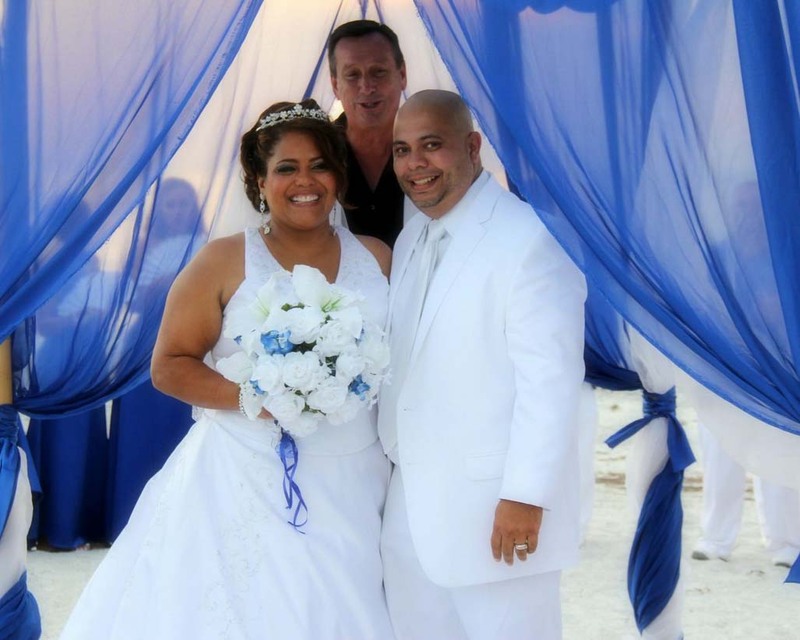 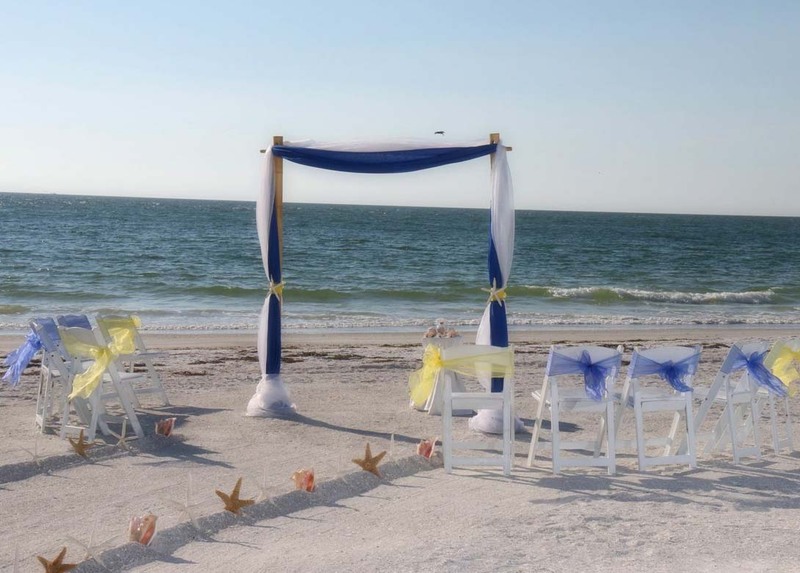 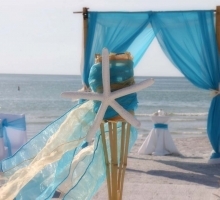 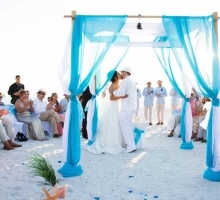 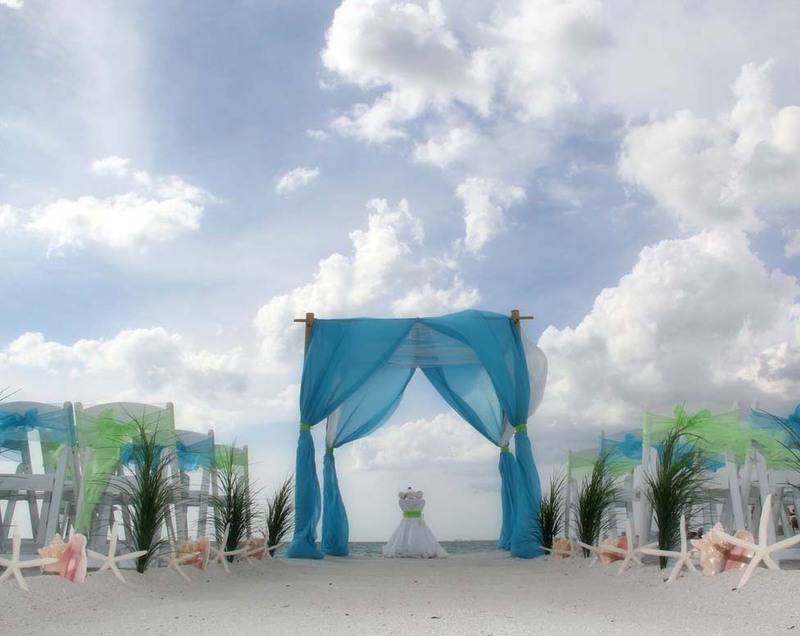 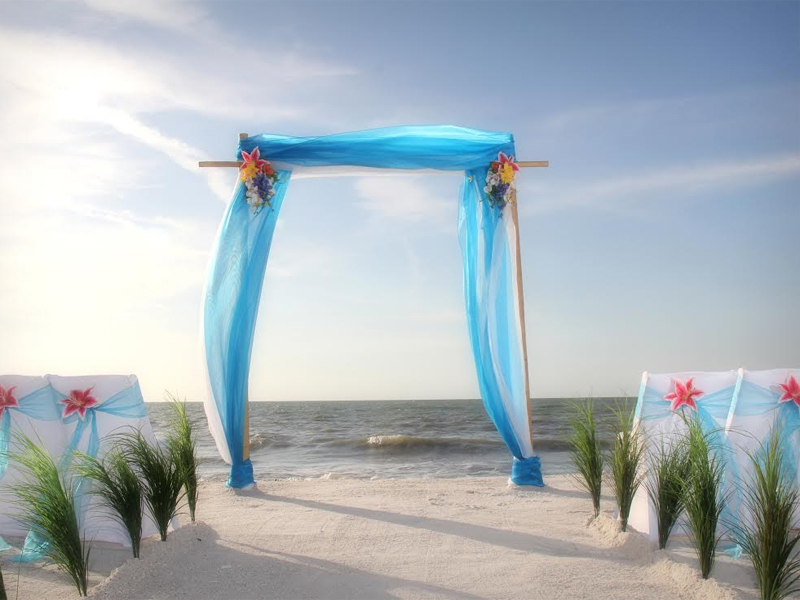 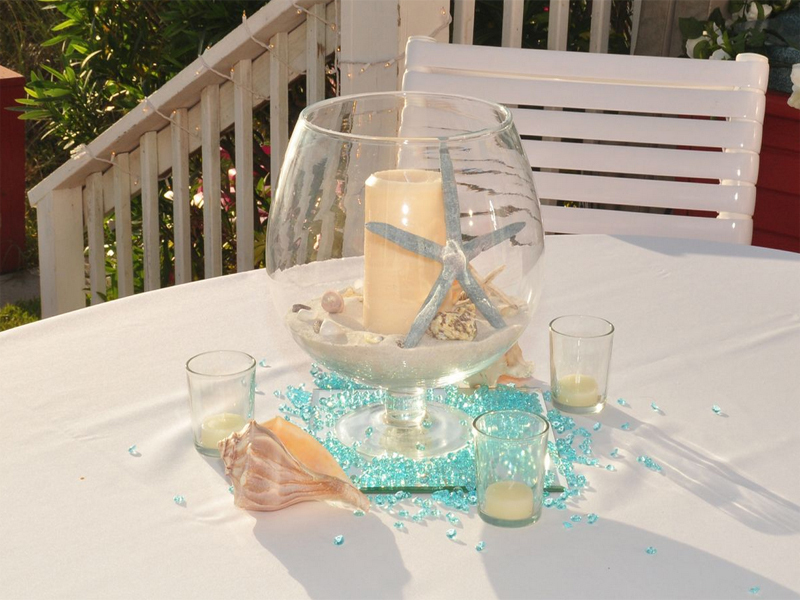 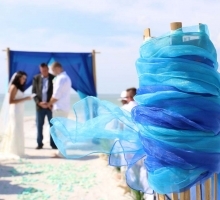 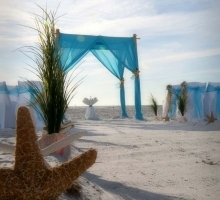 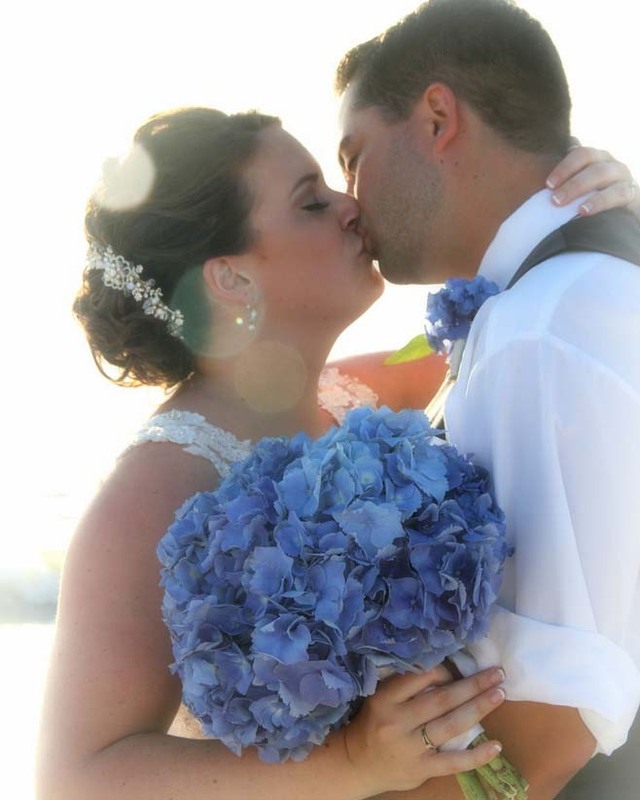 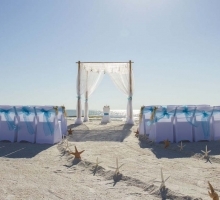 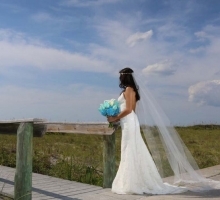 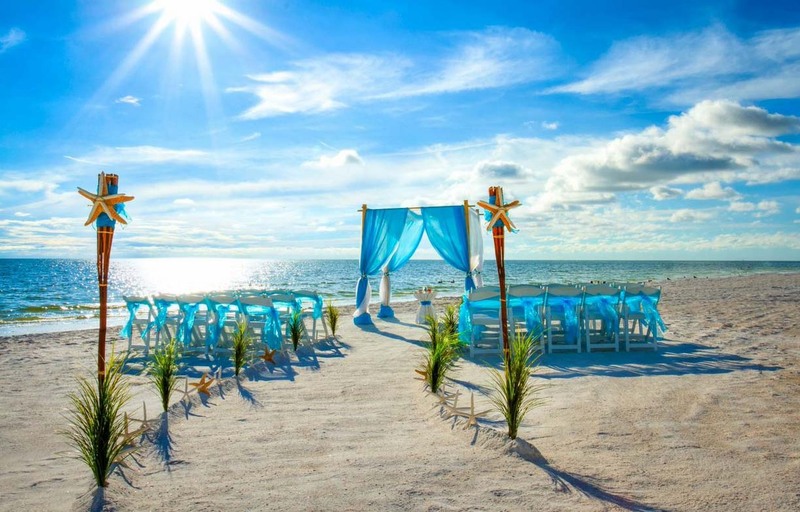 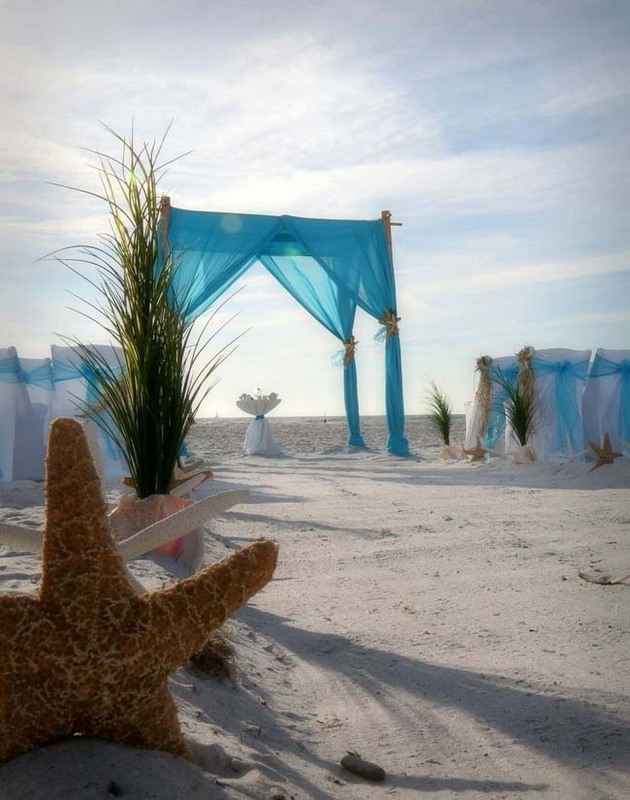 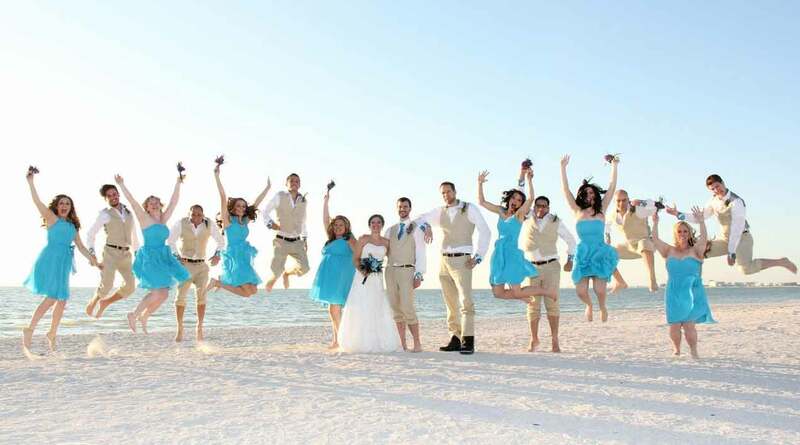 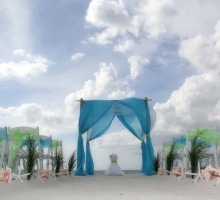 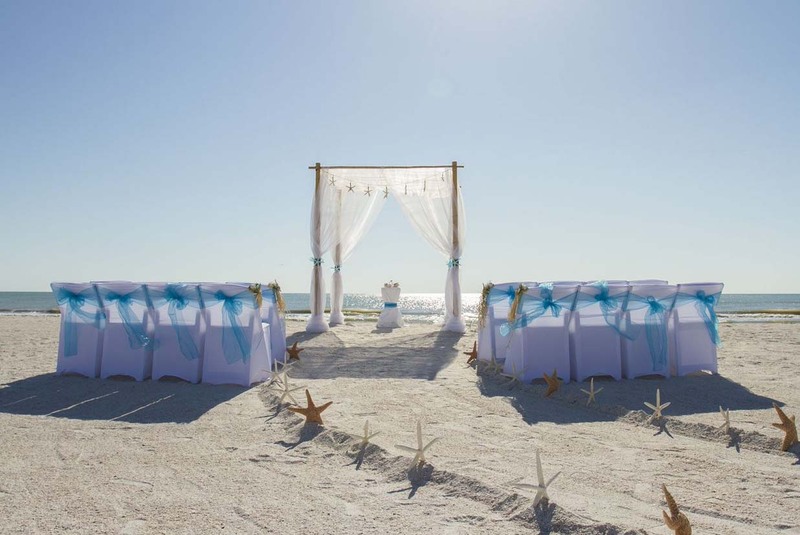 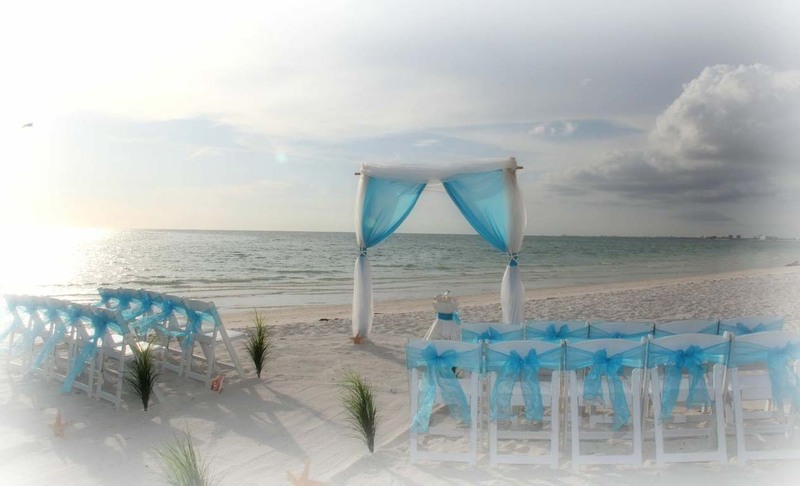 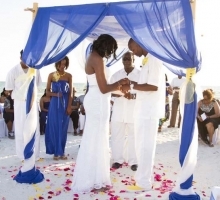 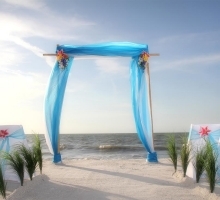 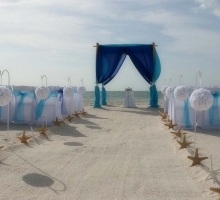 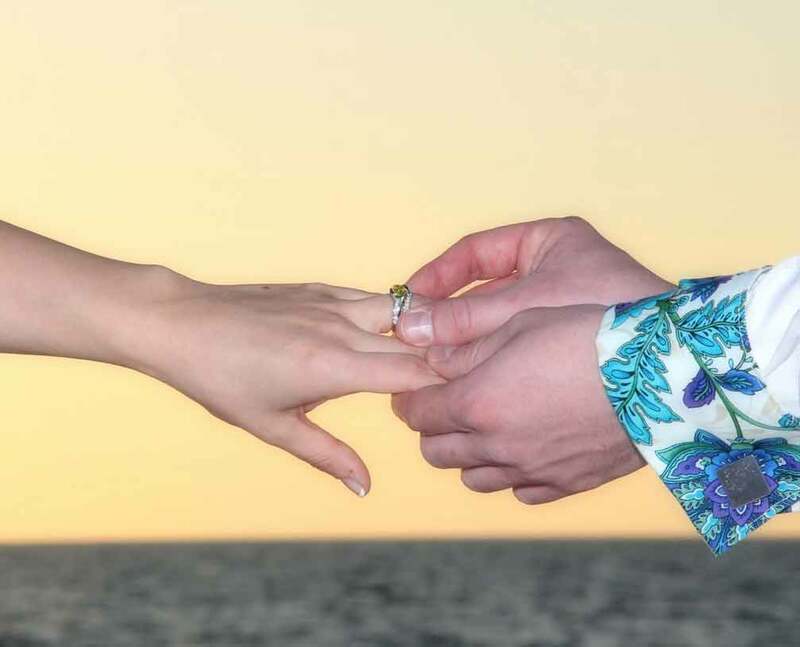 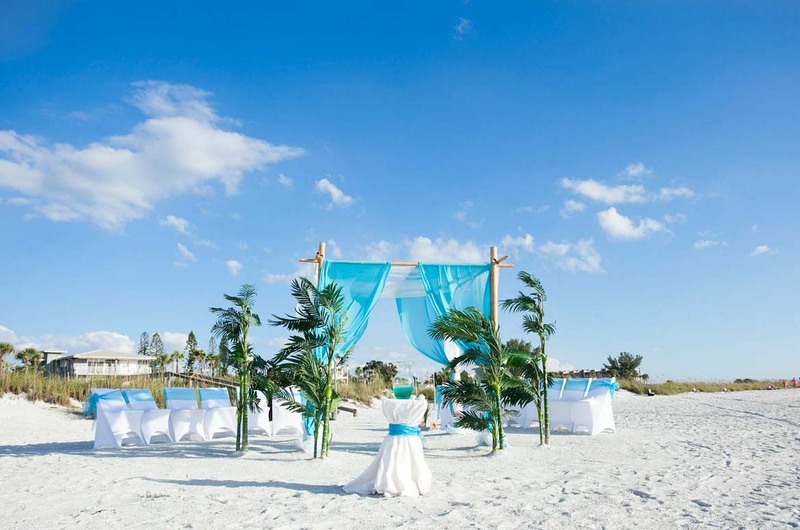 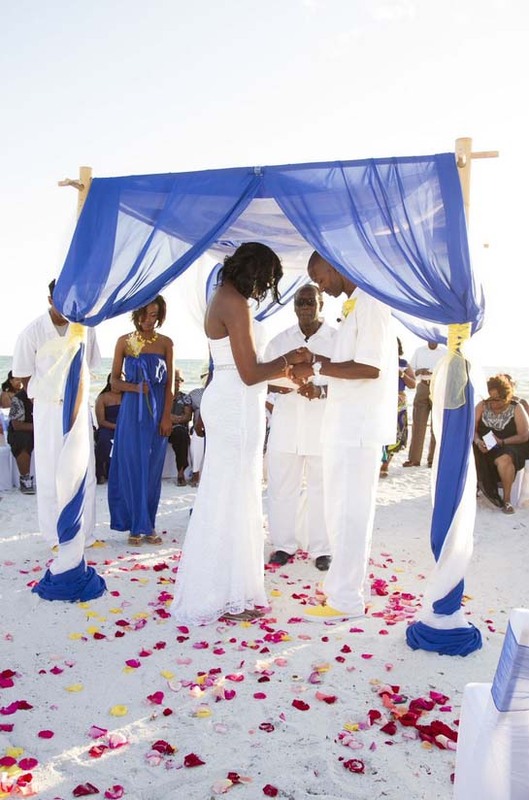 For a bold look, try our colored chiffon arch, a stunning backdrop for your photographs on a picture perfect Florida sandy shore.